It may seem strange to have a story which is less than a week old in the all-time greats, but I can’t help but love this story. This story works as it takes every element of the series and gives it a dark, action packed conclusion. It contains the development of the Twelfth Doctor (who has defined himself as THE Doctor) and gives the Missy mystery a masterful (hehe) resolution, which forces the characters to delve into ideas such as the afterlife, free will, love, trust and sanity. Everything in this story builds up to something, and the graveyard scene is one of my all time favourite Doctor Who scenes. The Master makes a successful comeback and it is the most personal and character driven finale, with the psychotic Master pushing the Doctor to the brink and forcing himself to question his own character. The direction is superb, the Cybermen are chilling and the highlight of the whole story is an amazing sequence with the Doctor James Bonding his way out of a plane. I cannot praise this story enough. The Third Doctor is one of my favourite Doctors, and it’s this story which solidified it. I will admit, I haven’t seen EVERY Third Doctor story, so this is bound to change to something more obvious soon (Inferno, The Silurians, The Daemons, Carnival of Monsters to name a few Pertwee stories I need to see). However, this story is my favourite Third Doctor and my favourite regeneration story because it represents everything which I love about the Doctor. Indeed, it is the Doctor’s own fault that the spiders (or Eight-Legs) come to Earth, as the crystal the spiders want is what the Doctor retrieved in a previous story (The Green Death). This adds a personal scale to the whole story, and by the end of the story the Doctor has been captured and defeated by the villains in the story. But, being the Doctor, he pushes onwards and gives up his life to save the universe, where anyone else would have let someone take over. The regeneration itself is brilliant, and the action is great (in fact, an entire episode has the Doctor pursuing the crystal by car, helicopter, Whomobile and boat). It’s the Doctor’s story, and that is why it’s one of my favourites. My favourite Ninth Doctor story has the Doctor pushed to the extreme, perhaps more than any other story. While the story itself is simple, it’s the Doctor/Dalek which raises this to fantastic (hehe) heights. This is the story which showed what the Doctor was truly capable of, as he is determined to kill a Dalek simply because it exists. This story could have only worked with the Ninth Doctor, as his hardened persona over the Time War has changed him in ways that surprise him. It portrays parallels between the Doctor and the Dalek, and both sides are painted as good and bad, but it’s not so simple. The Dalek kills because it has to, and the Doctor only kills if he absolutely has to. It raises questions about the Doctor’s morality and wether or not he can truly recover from the Time War. The Dalek in this story is awesome, and it is filmed in a way which makes it seem epic. The standout scene for me is the conversation between the Doctor and the Dalek over the screen, as it brings the Doctor/Dalek to new heights. How different is the Doctor from the Daleks? This episode shows that it is frighteningly similar, and that’s great. One of the first stories I ever remember watching, Remembrance of the Daleks is non stop Dalek action, as two factions of Daleks seek to gain control of the Hand of Omega. Sounds simple, but like every great story it goes deeper than that, as the Doctor returns to 1963 to stop them? Why? Because he was the one who left the Hand there in the first place, and is the reason he visited 1963 to begin with. It’s a great throwback to the start of the show, but it uses the nostalgia to tell a story rather than just throwing it in for the sake of it. It defines the Seventh Doctors personality of being manipulative and wary of the past, as well as using the time period to comment on racial and social issues which mirrors the war the Daleks are having. The first cliffhanger has the Daleks conquering stairs, the soundtrack is brilliant and it features the best Dalek ever- the Special Weapons Dalek. Despite the action, there is still a great story here which shows that a Dalek story doesn’t have to be just explosions. Another story which relies on the past, School Reunion brings back Sarah Jane and K9. This is a story which is very complex, as it explains why the Doctor leaves companions behind, as he will outlive them. I have appreciated this episode more due to the fact that I have seen Sarah Jane’s original adventures with the Doctor, and it’s obvious that they enjoyed each other’s company. The main theme through the story is letting go of the past and the consequence of power. It opens up strong ideas of immortality and uses the emotion from 1976 to continue a story which has the Doctor’s influence over others come into full force. The Krillitanes are a strong villain, and the confrontation with the Doctor in the swimming pool shows how the Tenth Doctor deals with situations. Despite the dark themes, the story is also a lot of fun, with plenty of corridor running and awesome K9 action. It is a perfect example of using the show’s own traditions to tell a compelling story with plenty of great moments (the Doctor being a teacher is just brilliant). This is my favourite Fifth Doctor story that I’ve seen, and it features a villain who needs to come back NOW! The Mara is a fascinating creature. Not only is it a giant snake, but it feeds off the subconscious minds of people and enters their dreams in an attempt to control them. This story features very dark imagery and scenes as the Mara tries to control Tegan, and it also delves into a fascinating alien world and addresses colonisation and delves deep into the dark side of humans. 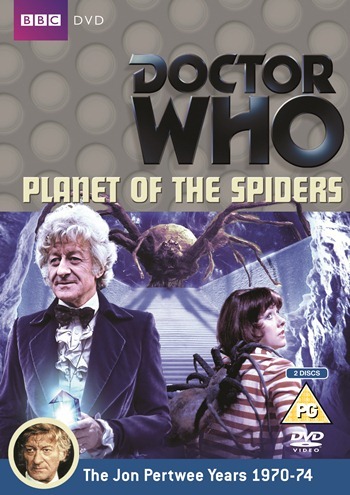 With the Fifth Doctor, the kindest and most understanding Doctor, the Mara has found a perfect match as the Doctor not only has to stop a rampaging entity in control of his friend, but deal with humans who seek to control the planet. The story presents both sides of humans, with both good and bad people among them. There are some great dream sequences, the cliffhangers are memorable and the whole story is a deep study of humans and the parallels between them and the Doctor. 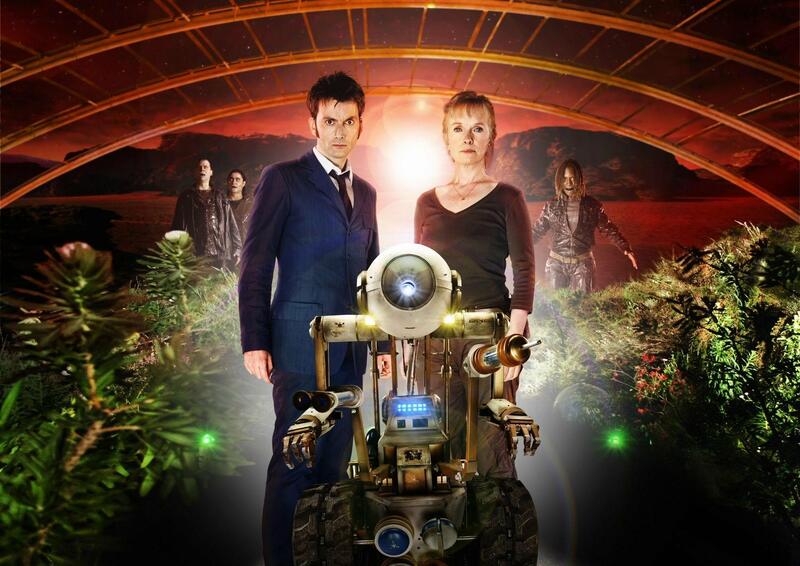 The Christmas special this year is apparently about dreaming, so this is a perfect opportunity for the Mara to make its much-needed comeback. This story is sooooo scary. As in proper, hide behind the sofa scary. I was terrified by this episode when it first aired and it still gives me the creeps. However, the scare factor is not the main reason this story works and why I love it. This story works because it personifies the Tenth Doctor, and it shows the dangerous effects of the Doctor travelling alone. The Tenth Doctor started his life happy, carefree and saving the world by making stuff up as he goes along. By the end, he is a power hungry man, and this story is the apex of that. The events of Journey’s End has affected him by this point, and he is determined to break his own laws and break the laws of his people just to save one bunch of humans. Everything else about the story works, from its direction to its terrifying threat, and it all helps to make a story where the Doctor loses it, forcing the situation into his own hands. It’s one of the Doctor’s darkest moments and even though the world is saved, there is still a feeling of unease as the Doctor is painted as the villain. One of the darkest stories on this list, the Waters of Mars is truly spectacular. If the Waters of Mars showed the Doctor at his darkest, this story shows the Doctor at his most laid back. The Fourth Doctor in this story is 100% awesome, running around Paris with a huge grin on his face, as he takes part in an adventure where he reveals his dislike for being tortured by people with cold hands. This story is one of the funniest stories ever, with so many iconic lines and moments. It’s so funny and well written I can’t have a favourite line (though the above quote is probably the closest). 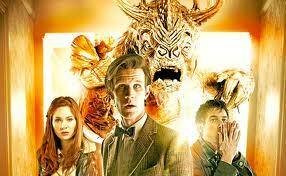 The story itself is ingenious, featuring many twists and turns and with a prime example of wibbly wobbly timey wimey. It also has the Mona Lisa as a main plot device and the villain has one of the silliest yet most brilliant plans in the whole of Doctor Who. The location work in Paris is great (it was the first overseas shooting the series had), and the whole story is impossible to dislike as it’s constantly moving from one thing or another. The cliffhangers move the mystery along, the music is superb and there is always something happening, be it a funny line (“You’re a beautiful women probably”), a chase scene or a plot point. This story is a must watch. This episode is so good my mum likes it. Oh wait, I’ve already made that joke. Anyway, the reason I love this episode is not just because it delves into the dark subject matter of mental illness and people’s views on it, but because it is so well made and has the Doctor at his kindest and most joyful (one of many reasons why the Eleventh is my favourite Doctor). This story works on so many levels. 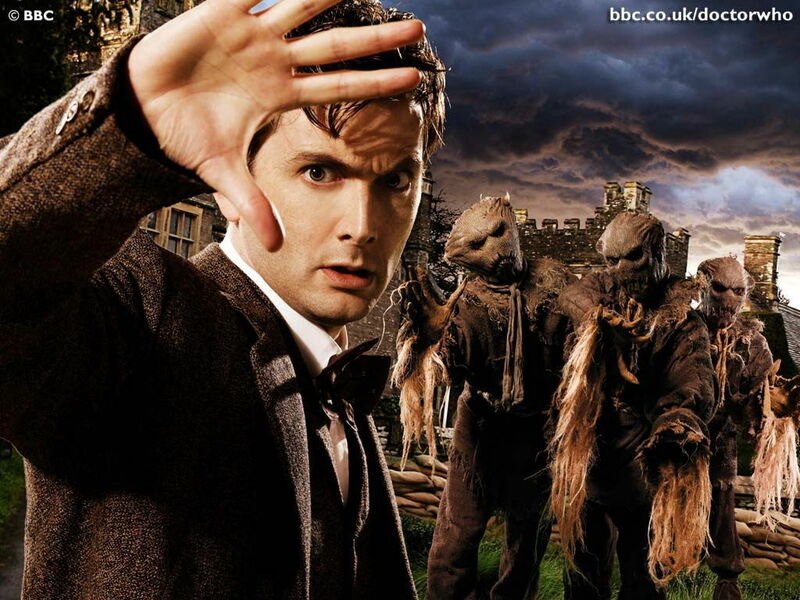 It works as a basic Doctor fights monster story, it works as a character study, it works as a historical, it works as an analysis on human psychology and most of all it works as a great Doctor Who story. The original aim of the show was to educate children, and this story does that, taking a deep and honest look at a complex person. It also shows a new side to the Doctor, as he attempts to change Vincent’s outlook on life, showing his care for humans. 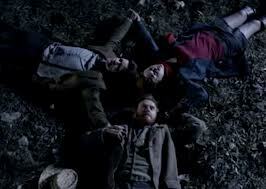 However, in the end Vincent still kills himself, reminding the Doctor that history can’t be changed. Even the monster has meaning, as both it and Vincent and been shunned from their respective communities. It’s deep stuff for Doctor Who, but all worth it. This story is often seen as one of the greatest Doctor Who stories, and having seen it I completely understand why. It is a study of the Doctor and shows the Doctor in a helpless situation. 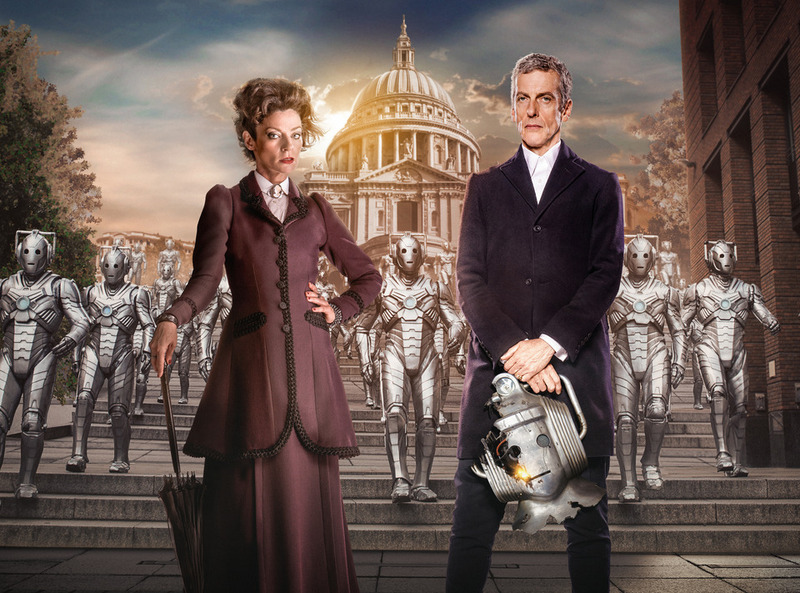 It poses many questions and like Dalek it shows the parallels between the Doctor and his foes. 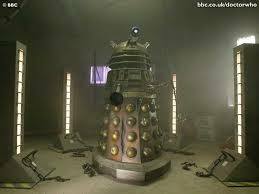 He hesitates to destroy the Dalek incubator as he realises that doing so will make him just like them. It poses questions about meddling with the past, responsibility and the lengths that the Doctor will go to. 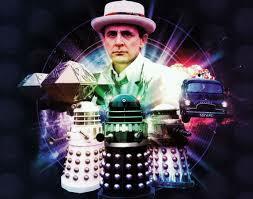 While the Daleks don’t feature much, Davros does. While he may seem like a ranting villain, he is a fascinating character who is doing what he believes is the best for his people and to him, the Doctor is the one interfering. The dark tone all helps to compliment the deep storytelling, but it’s not all dark, with some hilarious lines (“Hello can you help me? I’m a spy!”). This story is one of the most important in the show’s history, as it forces the Doctor to question himself and it gives him an impossible dilemma: Become a Dalek, or let the Daleks live? My favourite Tenth Doctor story doesn’t actually feature the Doctor much, but he’s the whole reason for the story. At it’s core, the story is all about humanity. For the whole of the show, the Doctor has been an alien, yet when he physically becomes a human he learns all about what it is like. It examines a character, John Smith, and the difference between him and the Doctor. Smith is NOT the Doctor, yet he’s a human being with human emotions, who is forced to die to help save the world. It also shows the Doctor at both his most merciful and merciless. Why is this my favourite Doctor Who story? Not only did it make Matt Smith my favourite Doctor, but it made me realise what Doctor Who could achieve and is the reason I am writing this list. The Eleventh Doctor is the personification of what the Doctor is to me, and this story is the perfect personification of the character. Matt Smith started off as a quirky, childlike alien who made epic speeches, ran around with a manic grin and eating fancy food. In short, a madman. But during Series 6 he began to lose everything; Rory died (lots), he was given hope of the Time Lord’s survival, he murdered a Ganger Amy, had people die for him at Demon’s Run and all that time he still maintained his cheerful persona. This story shows the apex of the Eleventh Doctor’s journey, as he is trapped in a place which is killing off people and he is forced to stand by and watches it happen. In the end, he is forced to give up his companions and he learns what effect he has on people. Like the Minotaur, he gives hope and feeds in it. This adventure changes the Doctor, and he comes out of it wiser and more competent. That’s not the only thing to say about this story though. The direction is superb, the music is outstanding, the setting is creepy and the supporting characters are fleshed out and interesting. But this story truly works and is my favourite story simply because it is the ultimate analysis of the Doctor, and it remains to this day the best story I have seen. So those are my 12 favourite stories. What are yours? While I’m here I might as well give honurable mentions: The Impossible Astronaught/Day of the Moon, The Deadly Assasin, The Five Doctors, Ghost Light, The Curse of Peladon, The Fires of Pompeii and Father’s Day. Next “Who” should the next companion be?